North Korea says it has successfully launched its rocket, in defiance of international warnings. Reports suggest the rocket, launched at 09:49 local time (00:49 GMT), followed its planned trajectory, with stages falling in expected areas. 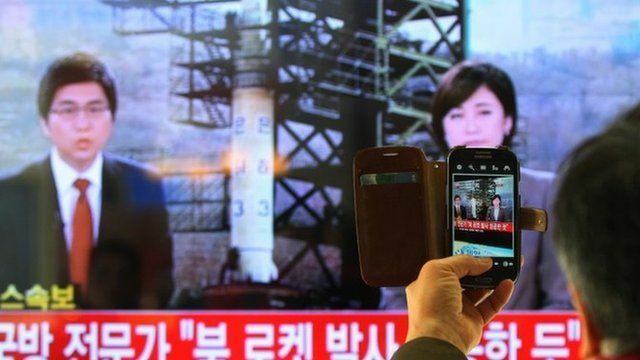 North Korea says a satellite has been put in orbit. North Korea's neighbours and the US have called the launch a cover for long-range missile development. Lucy Williamson is following developments from the South Korean capital, Seoul.